The Rumbo Solidario is always a great event. 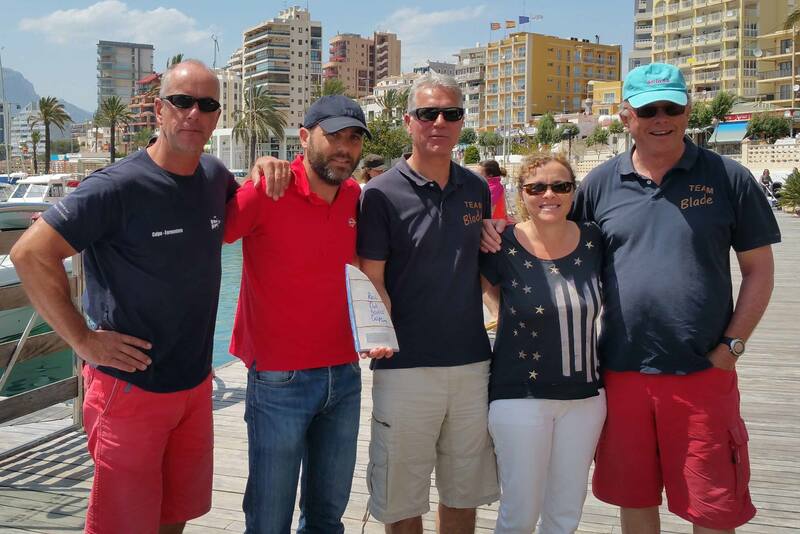 It is organised by the Real Club Náutico de Calpe (RCNC) and is combined with a 5 Clubs Regatta, making it a two day event. The entry fee for the Rumbo is only €40 per yacht, and the money raised goes to a deserving Calpe-based charity. 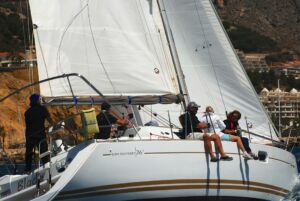 This year five CBYA –member crewed yachts participated in the 5 Clubs Regatta – namely Blade, Tricky D, and three TOM 28’s. Only Blade & one TOM sailed on the second day of the event. A number of CBYA members also crewed on other non-CBYA member owned yachts. 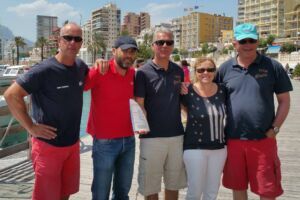 The 5 Clubs regatta was well attended with 25 yachts from both Calpe and various other Club Náuticos – only 11 yachts turned out for the second day. To ensure interest in these regattas, three categories within the races have been created – ORC-A, ORC-B, and ORC-C. Three trophies are awarded in each class for each event. Blade was sailing in ORC-C. Tricky D and the TOMs were in ORC-B. All yachts have a rating on which their handicap is based. This means that in some cases yachts that cross the finish line after you can still win. 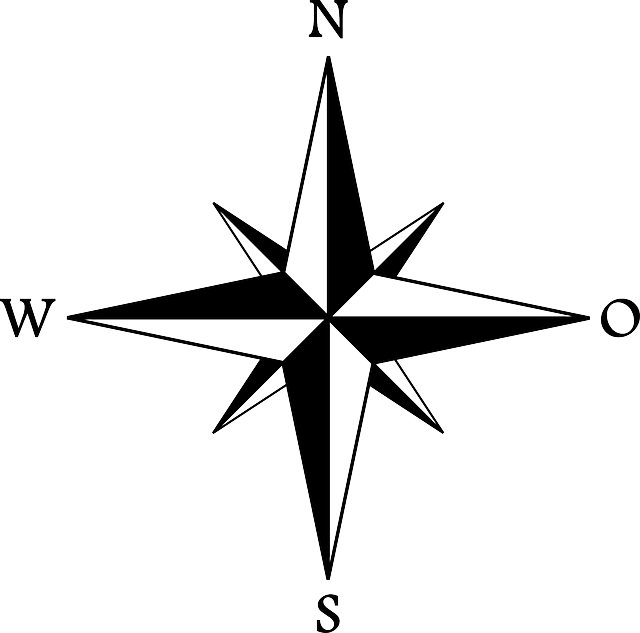 The 5 Clubs regatta comprised a long Olympic Triangular Course where ORC-A & ORC-B yachts have to sail a triangular course, followed by two “bastones” – windward-leeward courses. The ORC-C yachts sail the same course but only complete one “baston”. On the second day of the Rumbo, the course was slightly shorter with three “bastones”, with ORC-C yachts completing only two. The wind was relatively light for the Saturday regatta – 10 to 12 knots, but freshened to 20 – 25 knots on the Sunday. On both days, all classes started at the same time – so we had some exciting starts. 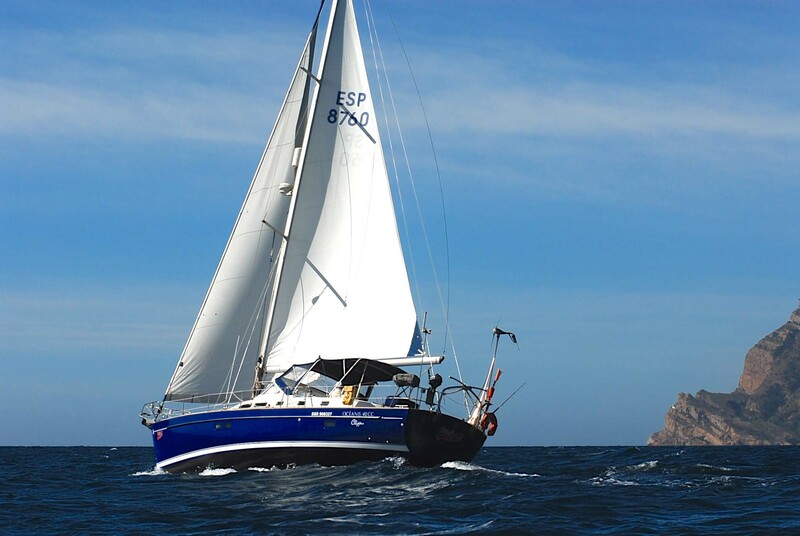 S/Y Blade is a Jenneau 37 and is owned by Barry & Karen McCrae, who both sailed on both days. The additional crew on the Saturday comprised their daughter, Phoebe, and boyfriend, Tom. Also Hans Sleutjes, Dave Reid and Hugh Epsom. On Sunday, only Dave & Hugh crewed with Barry & Karen, which was a bit light for the 20+ knots of wind. We sailed well on both days, finishing 4th in our class for the 5 Clubs regatta, and finished 1st on the Sunday, which meant that we won the overall Rumbo Solidario 2-day event! S/Y Tricky D is a Benateau Oceanis 42 owned by Richard Jones. She was crewed by all CBYA members. They only completed the triangular course and then retired from the race. The TOMs were skippered by John Allison, Jim Mack and Jason Gast. They finished 5th, 6th and 7th in ORC-B on the Saturday. Only Jason’s TOM sailed on Sunday. RCNC laid on a buffet lunch on the upper terrace of the club house after the race on Saturday with a special prize-giving just for the 5 Clubs regatta. A second presentation took place after the Sunday race for the Rumbo Solidario. These regattas are great fun. The sailing is generally easy, and relatively inexperienced sailors can take part. We would like to see more CBYA member-owned yachts participating in the future!